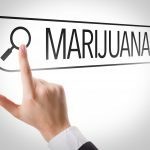 Although perhaps the most popular of choices, cannabis isn’t the only beneficial way to get high. Kratom presents the perfect mix of feeling good while still getting a lot of benefits in the process. Being a strong combatant against pain and depression are only a few of the ways Kratom strains rise above the rest. If you’re new to the world of Kratom and are uncertain where to begin, look no further. We’ll help you find the perfect match for your desires and needs. One of the best ways to begin experiencing Kratom types is beginning with the green-veined variety. Green Kratom is a moderate type, giving you a good mix of benefits all in a moderate intensity. It’s a good way to ease yourself in if you’re new to ingesting Kratom. You get a modest taste of all the different aspects and feelings that Kratom can give you without being overwhelming. Because it’s a neutral kind of high, green-veined Kratom works well with a lot of different desires. Whether its to feel the effects of pain relief or to feel good for a while, green Kratom has you covered. If you don’t have a particular benefit you’re looking for, green-veined Kratom is the best middle ground to aim for. This particular strain is one of the most popular of the green Kratom types. With a memorable name and its potency, it has earned that name. Maeng Da is a stimulant, giving its user an uplifting and energetic feeling. It can help with concentration and enthusiasm, which makes it a great anti-depressant aid. Because of its strength, Maeng Da is often used as a pain suppressant. You can take it and feel the effects without getting drowsy in the process. It makes for a much healthier and less addicting choice to opioid medication. As another potent strain, Green Malay tends to be more desirable by some due to its prolonged effects and cheaper price. Not only does Green Malay help fight against pains, it’s also an anti-oxidant and helps to make the user feel healthier and stronger. The best thing about this strain is that you don’t feel drowsy while ingesting it. You can have the pain relief without feeling too numb in the process, making it a good choice to take throughout the day. Next in our Kratom guide is the red variety. It’s the most common of the types and is the most widely sold. It has a large number of different strains to choose from, allowing you to get exactly what you’re looking for with ease. 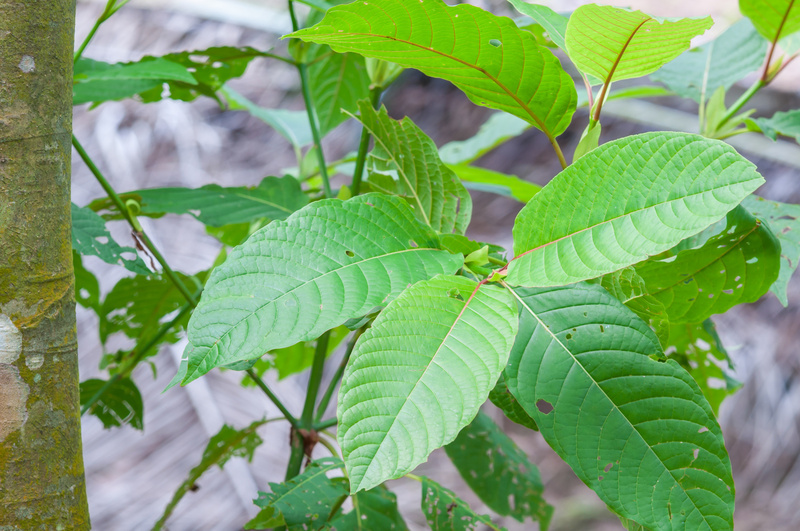 Red-veined Kratom is known best for its effects of sedation and relaxation. It works very well as a pain suppressant and an aid for stress and anxiety. It boosts your mood, making you feel optimistic and at peace. It fights against pain and allows your muscles to relax. This makes it a helpful sleep aid as well, taking the place of harsher medications. Different strains can give you a stronger sedative effect, while others will are stronger in helping raise your mood. This strain gives you the best of the red-veined qualities. Ingesting Red Sumatra will help to suppress any pain you might be feeling while giving you that lazy and relaxed euphoric high. It is also one of the best ways to deal with stress and anxiety, helping to calm the user. You won’t feel as on-edge while taking Red Sumatra. Red Horn is a powerful strain that needs a careful hand, especially if you are a beginner. Even a single gram goes a long way to feel the potent effects. It is one of the best pain relievers within the different Kratom types. It works best against chronic pains. This is because Red Horn is grown more for its healing attributes rather than its high-giving qualities. 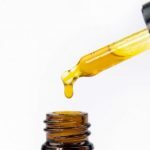 It also excels in helping its user to feel relaxed and at ease, which is extra beneficial for those dealing with something like chronic pain. This strain is difficult to cultivate and grow, which can make it hard to find. But the benefits can be worth the extra effort. As the opposite of the red-veined types, white-veined Kratom is a stimulant, giving you a strong energetic feeling when ingested. Anyone suffering from constant fatigue or depression would find white-veined Kratom to be a welcome ally. It will help you to fight against those slow and darker feelings and embrace a more energetic lifestyle. It also helps with concentration, productivity, and motivation. Because of this, a lot of consumers like to have white kratom in the morning. This can give your daily routine the extra boost it may have been missing for a long time. Due to its stimulating effects, it’s best not to take white Kratom too close before your bedtime, however. This could lead to a restless night. The most popular of the white varieties, White Borneo does everything you could want from white Kratom and more. This strain is derived from a plant in the coffee family, which is an apt way to describe it. It’s a stimulant that would wake you up in the morning in place of that usual cup of coffee. The difference is that White Borner does more than wake you up. It also helps keep you alert throughout the day and gives you higher productivity. It aids concentration and motivation, helping you to reach all the goals you have for the day. The nice thing is that, even though it does stimulate you, it doesn’t go so far as to make you feel anxious or fidgety. This makes it one of the best types of Kratom you can find. As with most things, it’s all up to personal preference as to what is “the best”. What may be the best for one person is not necessarily the best for another person. With the knowledge of these different types of Kratom strains, you’ll be able to pinpoint the one that will give you that perfect high. The one that makes you feel the best. No guesswork needed.